C.B. Macdonald, the self-proclaimed Father of American golf architecture, attended the University of St. Andrews and learned the game from Scotland’s Old and Young Tom Morris. 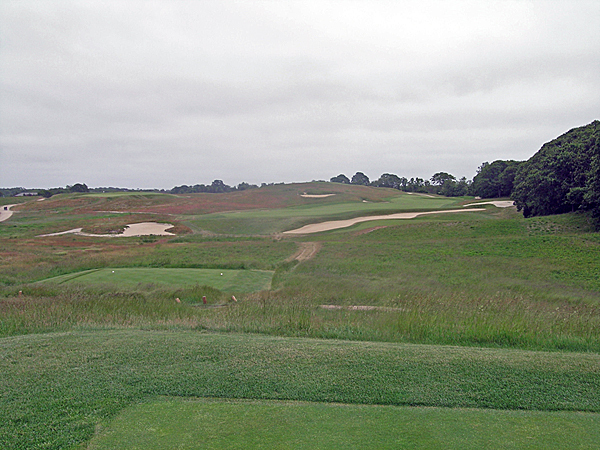 Observing that American courses were designed with little imagination, none created in response to classic Scottish holes, Macdonald proposed in 1904 to advance the game of golf in America by constructing a course where each hole was modeled on the most famous ones overseas, with each hole “representative and classic in itself.” By the spring of 1907 the course known today as the National Golf Links of America began to take shape. Bogs were drained, bushes cleared, and over 10,000 loads of good soil and manure laid on the land. Seth Raynor, a local surveyor, oversaw construction, ultimately becoming an accomplished course designer himself. 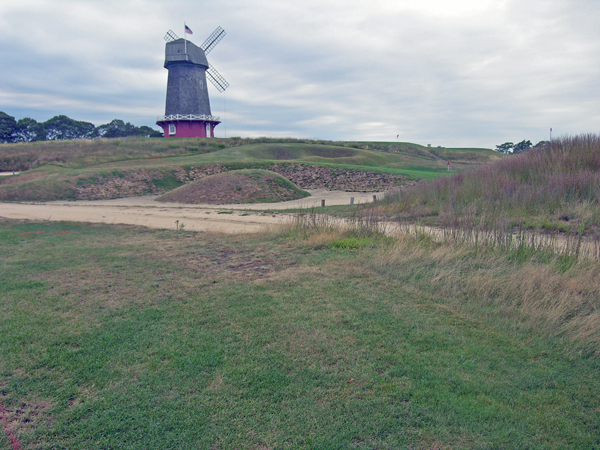 Some land was remolded to accommodate the blueprinted Scottish links holes; other holes were altered, and entirely new types of holes were created. 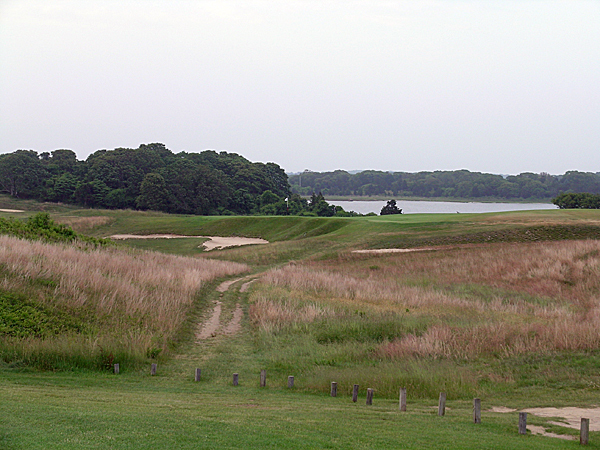 The course was equally suitable for the duffer and the champion, as it offered alternative routes of play on most holes. 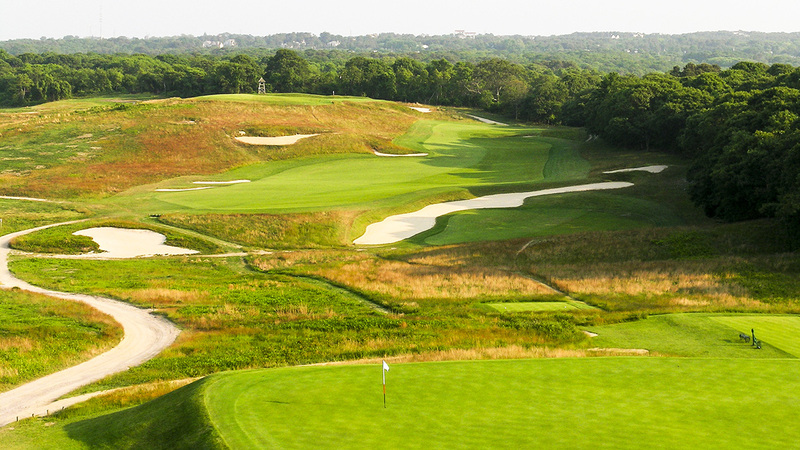 The course became an instant success upon its official opening in 1911. Clubs around the country clamored for Macdonald’s services, for which he never charged a fee.